An attractive, inviting, and secure storefront is one of the basic necessities of any successful business. A retail storefront can advertise what’s inside the store to entice potential customers. Storefronts and entryways for other types of businesses also function to make it easy and safe for their customers to enter their establishments, and represent the type of business it is, and hopefully lend credibility to the business. Other, more strictly functional passageways such as loading docks and security gates are also included in the commercial door services we offer with our commercial door repair & install business. Security for any commercial property is naturally a top priority, and quality storefronts and entry doors provide that. We will ensure that your business has the highest quality door made of materials necessary to match the functionality and look you desire. We have many solutions for a wide variety of businesses, and all of them offer attractiveness, ease of use, durability and the highest level of security. Our clients rely on us to not only provide commercial door repair & installation, but also maintain their commercial doors to keep their property safe over a span of time. Storefronts, doors, security gates and more get a lot of use, day in and day out. They also are exposed to the elements, and over time will begin to deteriorate or stop functioning properly if they are not routinely maintained and repaired. There are many commercial door repair & install businesses to choose from in the Brooklyn area, so we work hard to provide the best possible service and quality to earn – and retain – our customers’ business. 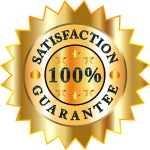 We value each and every customer, and try to go above and beyond their expectations of commercial door repair & installation services. When you are in need of a repair on an existing door or entryway, or wish to update the aesthetic appeal and security of your existing door or storefront, contact us. 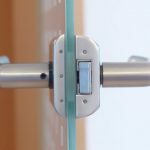 Within one business day, one of our commercial door repair & install experts will arrive at your business to review your current layout, and discuss the many options you have. A beautiful storefront or entrance to your store or business can bring in new customers, especially in the retail and service industries. Whatever foot traffic you can entice into your establishment is well worth the investment in a modern, up-to-date look. A storefront made of glass will give people a visual entrance into your store or business that, if done correctly, will peak their interest and give your business enough credibility to get them to enter. Aside from the visual access they gain, our glass commercial door repair & installation services will make your glass storefront a natural deterrent against theft. Because steel is inherently stronger than other door materials, choosing it is a natural conclusion when strength and security are the top priorities for your business’s door. It is also excellent for structural integrity, reducing sound, keeping sanitary, and increasing fire resistance. For those environmentally-concerned folks, it’s worth noting that of all the metals in the US, steel is the #1 recycled metal. Cost is another factor that our commercial steel door customers like about the product and its longevity. Making repairs on steel is also something our commercial door repair & installation experts can do. We also offer our commercial and industrial customers other types of metal doors which are very popular. These doors are made to stand up to the elements and take a lot of abuse. Metal commercial door repair & installation is somewhat easy, due to the light weight of the metal. These doors are a favorite too among our commercial clients because they never need to be painted, and are extremely fire-resistant. Many of our commercial customers in Brooklyn have classic wood architecture that they want to carry through on their exterior doors. We can provide a multitude of wood door options ranging from lighter, more affordable hollow wood, hybrids of wood & steel doors, to sturdy, solid wood doors. Our wood commercial door repair & installation professionals with discuss the pros and cons of each wood door option, and help you decide upon the one that will satisfy all of your aesthetic, security, and budgetary concerns. We will also be happy to provide the maintenance and seasonal up-keep we recommend to keep your wood doors looking their best and operating efficiently.